Environ skincare gets outstanding results for all skin types and all ages. Whatever your skin concerns are, Environ unique Vitamin A & C based formulations give great results for addressing; photo-damage, acne, ageing, pigmentation and dryness to name but a few. 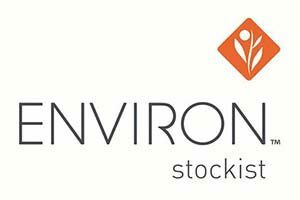 Please click here to view the Environ product range. Jane Iredale is a high quality mineral make-up that helps protect the skin as it contains no toxins, talc, fillers, synetics or dyes. It is weightless, lasts longer than traditional make-up and allows the skin to breathe. 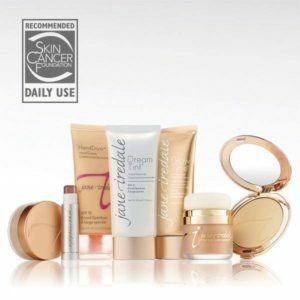 Please click here to see some of my popular Jane Iredale products. Advanced Nutrition Supplements give you healthy skin from inside the body, which can be as important as what you apply topically on the skin. 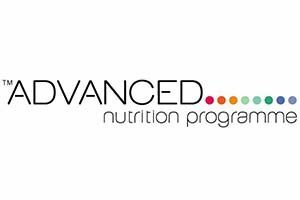 The Advanced Nutrition Programme™ is a cutting edge, salon-only range of supplements that supports skincare regimes. Click here to view my Advanced Nutrition Programme products. Applies like polish and cures in a LED lamp in 30 seconds. Gelish stays on nails for up to 3 weeks with no chipping or peeling, and soaks completely off in only 10-15 minutes. Quick and effective hard skin removal by softening the skin with patches, buffing and moisturiser to complete the treatment. 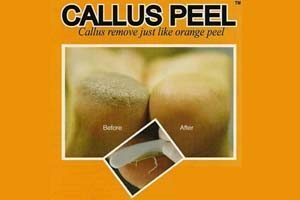 A homecare foot moisturisers is available to purchase to compliment the results of this treatment. Fusion have a comprehensive range of products that have been formulated for aesthetic professionals, designed to effectively target and improve specific skin conditions. 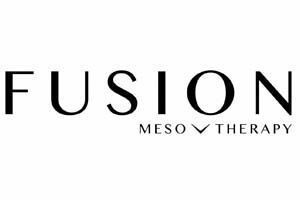 The Fusion (needle-free) Mesotherapy range includes products containing the latest generation of pharmaceutical graded Growth Factors, Hyaluronoic Acid, Amino Acids, Biomimetic peptides and Vitamins. With 30 years of innovation, Perron Rigot holds the patent on formulas for low-temperature waxes and is the inventor of no-strip disposable wax. Specialist hot non-strip wax for sensitive areas like bikini and strip wax is used in larger areas. Using the highest quality organic ingredients to achieve the best results for an even tan that lasts up to a week. Active ingredients like Caffeine help to detox the tissue to reduce fat deposits and puffiness, while Caviar extract helps to moisturise and protect your skin. From these premium brands I have carefully chosen a number of homecare products that clients can purchase directly from me in order to support and compliment their treatments. Environ skincare is about putting back the Vitamin A into your skin to help repair and normalise your skin to a healthy, youthful looking skin. Vitamin A is the ‘oxygen’ the skin needs to look healthy. As we age our Vitamin A depletes from our body hence why we see the signs of pigmentation, lines, wrinkles, congestion, sun-damage, sensitivity, dull, tired, dehydrated skin. Environ can be used by anyone, any age, any skin type, any skin concern – we all have Vitamin A in our skin and it is time to put it back in to get healthier skin..! Environ skincare has essential vitamins, antioxidants and nutrients in all their skincare product ranges. I stock the full range offering clients the best tailored skincare routine for them. Products can be purchased in salon or via online payment methods i.e. paypal, bank transfer or pingit. Initial consultation is required to purchase products, customer loyalty points available for product purchases. Jane Iredale is a high quality mineral make-up that helps protect the skin so is a true extension of skincare. The mineral foundations make your life simpler too because they provide four important functions in one: foundation, concealer, sunscreen and active skin care benefits. The entire make up range has been through testing to ensure they are non-irritating and do not block pores. This is because they do not contain any toxins, talc, fillers, synetics or dyes. Suitable for even the most sensitive skin, Jane Iredale mineral make-up gives fawless, even coverage, last longer than traditional make-up and allows the skin to breathe. With over 400 products within the range, the majority of the make-up is ordered in specifically for individual client requirements. Ideal for use before and after waxing, this Ingrown Hair Double Scrub combines a chemical and mechanical exfoliation to refine the skin, preventing the formation of ingrown hairs. It also prevents the appearance of red blemishes caused by ingrown hairs, while its fragrance free and paraben free formula leaves the skin soft and smooth for a more efficient wax. Directions for use: Before the shower, apply the Ingrown Hair Double Scrub on dry skin on the whole body paying particular attention to depilated or to be depilated areas. Rinse with water. Use 48 hours before a waxing session, and once a week between waxes to avoid the appearance of ingrown hairs. Helps to decrease the skin’s reactivity and reduces sensation, this cooling effect gel perfectly prepares the skin, restoring comfort and limiting post-wax reactions, such as tingling and overheating, for optimal and painless hair removal. It can be applied at home from 45 mins to an hour before waxing. Contains menthol – not suitable for pregnant women. Contains natural ingredients (paraben free) this lovely enriched cream leaves feet feeling refreshed and helps to repair and restore the skin. Directions – one pump to treat one area and gently massage in until absorbed. For best results use daily.